What do you need to do to become an excellent financial analyst?  Home  finances  Financial  What do you need to do to become an excellent financial analyst? Becoming an excellent financial analyst requires many different factors, besides having good qualities, it is necessary to learn and practice regularly. For students in economics - finance, getting financial knowledge, the formula of financial ratios is often met, however, when reading financial statements, the ability to receive determine the financial situation of the business, from there, point out the cause and look for innovative solutions to show the difference in real capacity among analysts. So, what should a financial analyst do to improve his analytical capacity? The article follows the top-down (ie top-down) view, which is to appreciate the understanding of the previous macroeconomic situation and then to understand the activities of the industry and then the business. 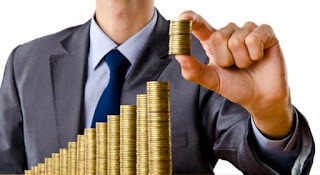 - The financial situation of the enterprise is greatly influenced by macroeconomic conditions, so an analyst must understand the theoretical knowledge of economics, financial markets, readability and explain macroeconomic indicators on a regular basis, from which, build an overall realization of the ongoing practice of the macro economy. - Financial analysts also need to be knowledgeable about the economic and technical characteristics of each business sector, such as: Industry value chain, industry segments, list of companies in the industry and strategy. , their competitive advantage, the financial position of companies in the industry ... Therefore, usually the financial analysts are only the most knowledgeable in the sectors in which he studies the most. Expanding the capacity to analyze other businesses will require time and effort to understand and research. - Understanding accounting and accounting data handling tips: It would be naive for someone to believe completely in the financial data provided by a business because there are many businesses using the tricks. accounting algorithm to process financial data. Therefore, the financial analyst must be knowledgeable about accounting profession, have operations to check and diagnose the accuracy of financial data, adjust financial data in accordance with the purpose analysis. - In addition to being knowledgeable about the accounting and financial profession, the financial analyst needs to be knowledgeable of knowledge in many relevant areas of the business. In the enterprise, there are basic functions such as: HR, production, finance, marketing and strategy. The financial analyst will have to be knowledgeable about all of this knowledge, especially the analyst must be very knowledgeable about the knowledge of competitive strategy or Ton Tu legal to apply in analyzing steps of competitors in a certain industry. The hardest part in financial analysis is to have standards for reliable industry averages as a basis to compare and identify the financial ratios of your business as good or bad, high or low. Therefore, it is necessary to build industry-standard targets and to understand the financial situation of companies in an industry in order to identify which companies in the industry are performing well and which companies is not working well and why. - Monitor and read quarterly financial statements such as monitoring the "breath" of life: Financial analysts should constantly read quarterly (and annual) financial statements and financial reports. Six months and every year of hundreds of companies in many different industries. If an individual does not regularly read and comment on the financial situation of businesses in many economic sectors, he will soon lose his analytical sensitivity. In addition, attention should be paid to how the financial data is crowded to the stock price after the information is published and trying to determine the relationship between the financial situation and the share price of the enterprise. - Anticipate future prospects and anticipate solutions for businesses: Analysis is not only for analysis, financial analysis has the main purpose is to help improve the financial situation and competitiveness of businesses. career. A good financial analyst when finished analyzing a business will have to show: business strengths, weaknesses, solutions and steps needed to improve market position, financial situation and competitiveness of businesses. - Regularly follow up and communicate with practical people at the enterprise: The source of information from the exchange with practical people helps the analyst to re-examine his or her comments about the industry closely practice or not and also discover the problems that businesses in each industry are facing. - Regularly reading and studying knowledge, writing regular analysis reports: Research and financial analysis capacity will be proportional to the accumulated knowledge and experience. Financial analysts should regularly consolidate their analytical capabilities on a collaborative basis with financial journals or pages to continuously write and test their analytical knowledge.